Maracas Beach vendors get keys to new booths: On August 8, eight more food vendors of the Maracas Beach Facility received the keys to their new booths from Tourism Minister Randall Mitchell. PHOTO COURTESY THE TOURISM MINISTRY. Two weeks after eight food vendors received keys to their new booths at the Maracas Beach Facility, another eight vendors were on Wednesday presented with keys too. The vendors had to move out of their circular huts and into temporary huts for more than 12 months while the facility was upgraded. They are now moving into rectangular-shaped booths. To date, 18 booths have been completed. At the most recent handover, Tourism Minister Randall Mitchell presented keys to the owners of Annette/Vanda Singh’s Bake and Shark, Randolph’s Bar, Olive’s Hot Phoulorie, Tanty Rita’s, Vilma’s, Abbi’s Home-made Ice Cream and Treat as well as to Shelly-Anne Ferguson and Victor Lezama.Similar to the previous key recipients, these eight vendors will also receive a waiver of their rental fees until September 2018. Speaking with the vendors, Mitchell acknowledged the delay in handing the completion of Phase I of the Maracas Beach Improvement Project. He also expressed his sincere thanks for their on-going patience, saying the receipt of their keys represented “the turning of the corner” as his ministry seeks to work with all vendors to develop the facility. Mitchell informed the vendors that preparations are underway to secure approval for commencement of Phase II of the Maracas Beach Facility Improvement Project. He said during this phase, the ministry “envisages additional booths and washroom facilities will be constructed” and remedial works done to existing booths. Mitchell also advised that facility management services will be procured soon to ensure the effective operation and maintenance of the facility. 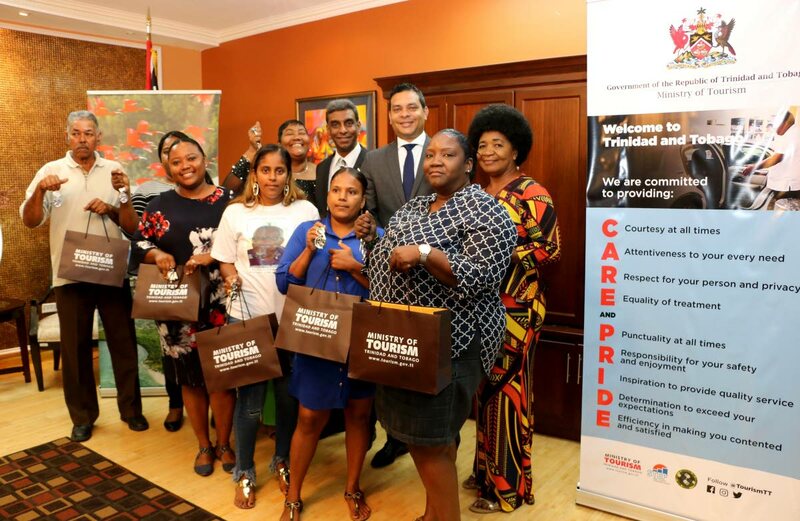 Vendors also heard from the ministry’s Permanent Secretary, Richard Madray, who emphasised that booth allocations and completion of the project “remain a key priority” of the ministry as it seeks to promote the tourism sector and to provide a truly memorable ‘Trini’ experience to all visitors. Reply to "Eight more Maracas Beach vendors get keys to new booths"